B) Hurdles. Unders and overs and straight throughs. 4 mins. 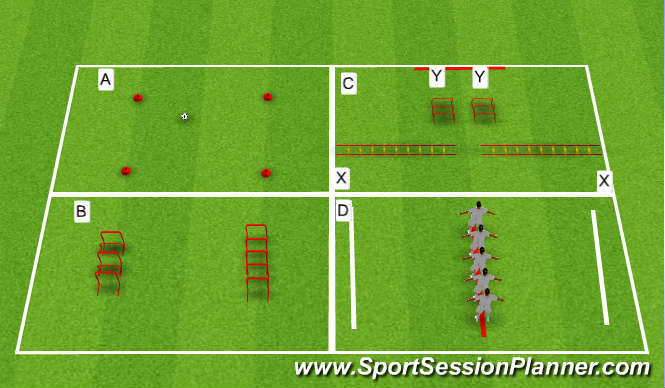 C) Start at &apos;X&apos; sideways through ladder, burst to hurdles, stop sharp at &apos;Y&apos;. Swap sides. 4 mins total. D) Reaction sprints. Commnads of left, right and turn. Use opposites as progression.3 mins.